A year ago I had my house listed for sale and was consumed with finding a new place to live. I sold the house, the closing date approached, and I still didn’t have a new address. For a while there it looked like I and my two cats and my characters would be homeless. Truly. I was quite desperate. At the last minute, I found a place with the right spaces for us all. Sorting and shredding and packing and moving and unpacking proved more stressful and time-consuming than I would have imagined. But it’s a new year, new ambitions, and writing projects galore. I plan to have new reads for you to enjoy in 2019. Despite my new full-time job of getting myself relocated I managed to get some writing done. In “Lady Blackwing Earns Her Moniker,” the heroine of my Fantasy/Science Fiction mini tackles a new adventure. 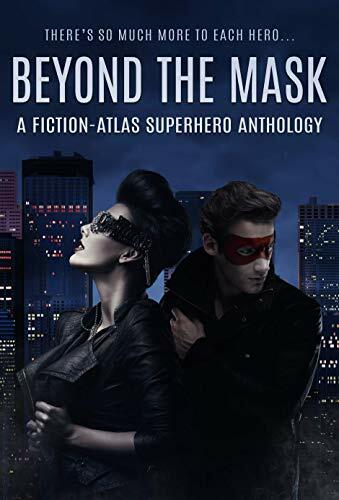 This story is one of several in the “Beyond the Mask” superhero anthology. Launching Jan. 29, 2019 it’s available for preorder. I’m especially pleased to be a part of this project. Proceeds from your purchase will go to Alex’s Lemonade Stand to benefit childhood cancer research. So you’ll not only enjoy some entertaining reads, you’ll be a superhero yourself. I made time to do National Novel Writing Month in November. This was my eighth writing marathon. 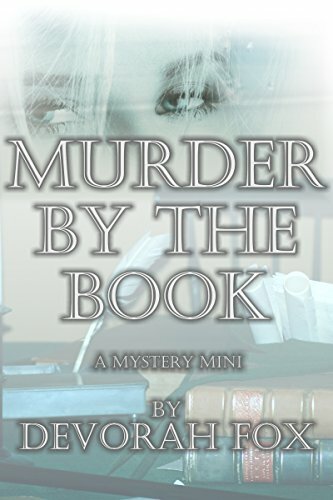 I worked on a new adventure for Candy Wadsen, the heroine of “Murder by the Book,” a mystery mini. I hope to have “Dying to Get Hung” out for you before the year ends. Ah, the things we authors do in pursuit of verisimilitude. Tune in next week for a report on my upcoming “learning experiences.” Meanwhile, I hope 2019 is off to a good start for you. We’re situated not too distant from ranchland where horse ownership is common. I thought this might be of interest. When purchasing a horse you probably didn’t realize all of the other purchases you would need to make. Tack, feed, lessons, boarding costs, they all add up. Another expense you may not have considered is for veterinary care. Fortunately, health insurance for horses can help ensure that you are never faced with making a decision on the health and well-being of your horse based on finances. There are several different types of horse insurance, but health insurance includes mortality and medical coverage. You may want a separate liability coverage if you keep your horses at home. This is something to discuss with your home insurance provider. Health insurance for horses addresses medical care due to injury, disease or accidents. Mortality insurance is similar to life insurance for humans. It covers your loss in the event you lose your horse due to death or theft. The premium, as well as the payout, is based on the age, use, and breed of your horse. The replacement value will be determined between you and your insurer. There are several different medical insurance offerings available to help with medical expenses. It is important to understand that health insurance for horses is not meant to cover regular preventative care, such as vaccinations and health certificates. Rather it covers treatment for illness, disease or accidents. Lameness and EPM are some examples of ailments that may qualify under a major medical plan. Many insurance providers also offer surgical coverage only option. This is a way to cover your horse if he should need an expensive surgery, but leaving you responsible for general major medical care, such as ongoing treatments for lameness. The surgical only option can be a tremendous stress reliever if you find yourself in a situation where your horse is colicing and surgery is the only available option. There are insurance plans to meet every need. Talking to an agent that specializes in health insurance for horses allows you to discuss and understand all available options. Horse ownership is expensive, and it is important to make decisions that are in both your horse’s and your finance’s best interest. 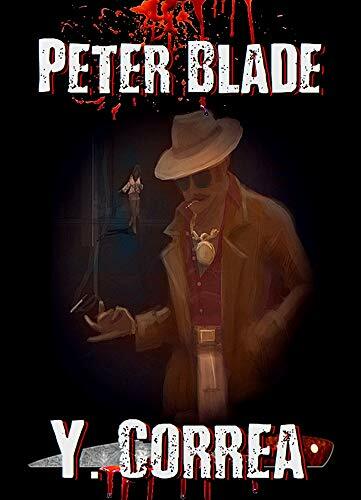 I am delighted to help get the word out about Y. Correa’s new release, Peter Blade, a psychological drama, slated to release October 31, 2018, at all major book retailers. Are you kids back in school? Sure they’re busy learning but here are suggestions about what they can learn at home too. Kids learn the most from their parents in a safe, positive home environment. That said, teaching your kids how to be responsible is one of the most important things you can do for their futures. Not sure where to begin? Take notes from the following article on four small ways to teach your kids how to be responsible/take on responsibility. Chores for kids are little things around the house that they are in charge of taking care of. Dependent on age, chores could be anything from feeding the pets, to washing the car, to sweeping the kitchen, and keeping their bedroom tidy and organized. When you feel the time is right for your kiddo to take on some responsibilities, assign them a small list of everyday, or weekly, chores, with a visible rewards and consequences system. Use stickers, magnets, or markers on a chart that adds up what they do, or don’t do, over the course of 7 days. It’s a classic method, but effective. Your children look to you for guidance, so guide them with your own example. Don’t put off your own responsibilities. Instead, meet your obligations head on and get them done to show your kids what being responsible is all about. Compassion and respect go hand-in-hand with being responsible. As a family, encourage your kids to help others and take on a role of responsibility in your community with volunteer work. Help out at a soup kitchen on the weekends, hand out food gift baskets to sheltered elderly neighbors, gather blanket donations for animal shelters, or simply do random good deeds throughout the day. Don’t expect your child to give up being a kid to take on their fair share of responsibilities. Understand that they can be both responsible and still a youngster, which means rebelling against chores sometimes. Use a good consequences system, like no chores = no electronics, to show them that being responsible and getting work done comes before fun and games. When your world has been blown apart, and you must bring the magic that puts it back together. 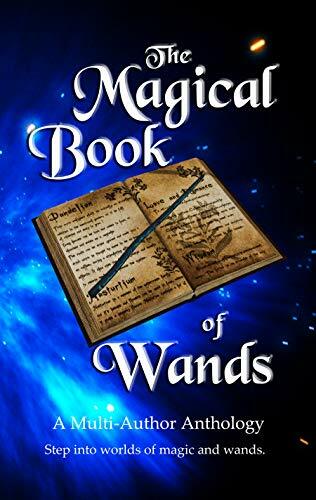 An Ill Wind is among the captivating #Fantasy stories in The Magic Book of Wands anthology. It’s available for preorder now and then when it’s released on October 31 it will appear in your Kindle. Like magic! That was a relatively short and painless quest. I encountered no murderous hordes, terrifying dragons, or quicksand. Which would have made a great story and while I’m not writing that one, I am writing. For a while there the act of writing seemed so foreign. I couldn’t remember how it felt to do it, and couldn’t picture doing it again. I wondered what would I do with myself if I wasn’t writing. However, the advice to break through a writer’s block by writing proved valuable. I reconnected with my writing self enough to sign up for the July Camp NaNoWriMo writing challenge. I’ve unearthed a project that I began last year. A nearly complete first draft, the story has a beginning and an end but needs more middle. I’m patching plot holes and fleshing out secondary characters. So, you writers, take comfort. Should you find yourselves blocked, try doing what I did. Write. Write anything. Don’t worry if it’s any good, if it will ever be finished, or if anyone else will ever see it. Just write. It worked for me and I’m calling this quest finished, with thanks to all those who rooted for me while I was on the trail. Now I’m on a new mission: to achieve the Camp NaNoWriMo goal that I set for myself, and to complete that novel. To reconnect with my missing Muse and reestablish my writing habit, I charged myself with writing to a daily prompt. The intent of writing every day was to break whatever dam was blocking my creativity. Today I won’t be posting what I wrote to the daily prompt. I haven’t done it. (I’m going to be optimistic and say I haven’t done it yet.) It was to list foods that remind me of summer and to describe them using all senses. It would be a good exercise but I’m finding that these prompts result in writing that’s memoir-ish, and not satisfying. I’m not cut out to be a memoirist. The joke among my friends is that if it happened more than three weeks ago, I don’t remember. That’s proving to be a handicap for logging in to Web sites. Security protocols ask who my high school mascot was, what street I lived on when I was six years old, what bank gave me my first car loan, and I can’t answer those questions. I have to keep a cheat sheet of the responses which pretty much defeats the whole point. Writing every day could be having a positive effect, though. I find myself called to revisit a story that I began last March and never finished. It’s been so long since I worked on it, I don’t recall all the details. Instead of writing to today’s prompt, I’m rereading what I wrote (about 25,000 words) to refresh my memory and pick up where I left off. I’m not ready to say I’ve found my Muse. I don’t feel that irresistible compulsion to write. My characters still aren’t talking to me. Maybe, though, there’s a crack in that dam. To reconnect with my missing Muse and reestablish my writing habit, I charged myself with writing to a daily prompt. I happened to have an ancient (December 2000) edition of Writer’s Digest magazine with 365 prompts. The guidelines are to write about 75 words. I needn’t worry about whether the writing is any good, or if the story will ever be finished much less developed further. The goal simply is to write, every day. One prompt seems to have caught fire. I worked on it all weekend and I plan to keep working on it. It stemmed not from a daily prompt, but an old Writer’s Digest monthly challenge, “Your Assignment #131″ from that same edition, and also a writer’s group prompt. We were to write to the one word, “cowboy.” I didn’t want to write about cowboys but you can see that I got the job done, in a way. I won’t have to show up at the next meeting empty-handed. Superman bit into the bagel. Warmed by the toasted bread underneath, the soft, smooth cream cheese topping slid across his tongue. The bagel took a little work, the dense and chewy texture not yielding to his teeth without a fight. It required concentration, the application of a degree of superhuman strength to overcome the resistance. He didn’t remember having to do that as a young man. No problem with his sense of smell, though. The pleasing aromas of sliced onions, peppery pastrami, and tangy pickled herring wafted from the deli counter. The waitress appeared at his elbow, a carafe of caffeinated coffee in one hand, decaf in the other. “Top up?” she asked. “Thanks, Diana.” he replied but he didn’t need the name tag pinned to her pink uniform to identify her. In her prime she too had fought for justice. Now white haired and slowed by aching joints, she was the civilian Diana Prince. All that remained of her career as Wonder Woman were the metal cuffs around her wrists. “Why do old … err, older women wear such big jewelry?” he asked. “Dainty pieces get lost in those saggy skin folds,” was her sardonic reply. Superman reached for the sugar dispenser and knocked over the salt shaker which poured a small crystalline cone onto the Formica table. “Oh, crap,” he grumbled. “Don’t have a cow. Boy, are you touchy today.” Diana wiped the spill with a rag. “I didn’t used to be a klutz,” he said. I did write to the prompt yesterday. I got to it late in the day, too late to post. The prompt was to write a scene in which a character confronts a lifelong fear. I penned more than 75 words but I didn’t do this prompt justice. I didn’t describe being fearful. Instead, I wrote about a circumstance that caused fear. Not the same thing, and I’ve bookmarked this prompt to give it another try. I turned out the light and lay in the darkness, alert for that little thump of a cat leaping onto the bed but it never came. I woke several times in the night and felt around for a small warm furry body to no avail. After a sleepless night, I inspected the litter box and found it unused. I dragged a little scoop through the gravel hoping that the familiar sound would get their bladders churning. Their food bowl hadn’t been touched either. I changed out the kibbles hoping that the aroma of fresh food would tempt them but they didn’t budge from their hiding place. I brewed coffee in the motel’s small pot. Surely the cats would smell it and come out. I had never once sat down to coffee without one or the other of them sticking a nose in my cup to ensure that I wasn’t enjoying something that should be shared. But I drank my coffee alone. By the third day I was frantic. The storm had moved north leaving my city buried under detritus and without power or running water. Impassable roads littered with sharp debris made it dangerous for vehicles. Residents were forbidden to return. I wondered what a storm now being called the most destructive in US history had done to my house but there was no way to know. News coverage did not include images of my neighborhood. None of that mattered. I had insurance. Anything I had left behind could be repaired, replaced, or done without. But the cats couldn’t. They still cowered in that tiny space between the bed’s platform base and the wall. I knew that cats have sensitive livers. Three days without food or water would trigger an internal collapse that once started couldn’t be stopped. If I couldn’t find a way to pry them out from behind the bed, get food and water into them, they would die. I would be alone in a motel room in an unfamiliar town with two dead cats, two blameless creatures who depended on me to keep them fed, healthy, and safe. And I had betrayed that trust. What a long strange trip this has been. My life no sooner settled down somewhat from the turmoil left by Hurricane Harvey last August than a new circus came into town. I sold my house and relocated. The process of negotiating the sale, searching for a new place to live, packing, moving, and unpacking took more time and more out of me than I ever would have imagined. It occurred to me after the fact that I could have made it all less arduous had I regarded it as a personal odyssey. For the first time in my life, I don’t feel like writing. I don’t lack for ideas; I just don’t have the compulsion to do anything with them. Where is my Muse? Is she embalmed in bubble wrap at the bottom of a yet unopened packing crate? Creative friends tell me I’m worn out. They assure me that my spark will reignite. I suspect, though, that this is like writer’s block. And I know the cure for writer’s block is to write. Inspiration does not come and settle on a writer’s shoulders like fairy dust. The Muse must be invited. The writer must prove worthiness by doing the work even on those days when creativity not only doesn’t spark, it’s undetectable. With the intent of reestablishing my writing habit, I charged myself with writing to a daily prompt. I happened to have an ancient (December 2000) edition of Writer’s Digest magazine with 365 prompts. The guidelines are to write about 75 words. I needn’t worry about whether the writing is any good, or if the story will ever be finished much less developed further. The goal simply is to write, every day. But I learned my lesson from my tortuous relocation experience. I’m going to frame this as a heroic undertaking, a quest to find my missing Muse. Heroes on quests undertake tests to prove their stamina and commitment. My tests will be those daily writing assignments. I’ll leap into the saddle (my desk chair), unsheath my sword (my pen), and ride into battle. You can champion me on this quest to exhume my Muse from that packing crate. Like spectators at a jousting tournament, you can cheer me on with your comments. Feel free to make side bets as to how long this quest will take, or if I’ll be successful at all. Today’s prompt was to describe a successful, confident writer. Devorah Fox, world famous author. I confess I do smile when I’m in Walmart and see my novel displayed on the most conspicuous shelf. No mistaking it’s one of my creations. My name is in big bold capital letters, larger than the book’s title. Myu work is so well liked, it no longer matters what the story is. People know that if I wrote it, they will enjoy it. I was changing planes the other day, on my way to a convention where I had been asked to deliver the keynote address. In the preferred-customer lounge, a perk paid for by the convention’s sponsors, I spotted a passenger reading my latest release. At about the same time, she looked up, saw me, and frowned. She flipped to the author photo at the back of the book and looked up again, this time with wide eyes and an open mouth.